Royal Boskalis Westminster N.V. (Boskalis) announces that its subsidiary SMIT Salvage acquired two five-year marine salvage contracts to serve as the exclusive marine salvage and engineering support contractor for the Naval Sea Systems Command (NAVSEA), the division of the U.S. Navy responsible for engineering, building, buying and maintaining Navy ships and submarines. 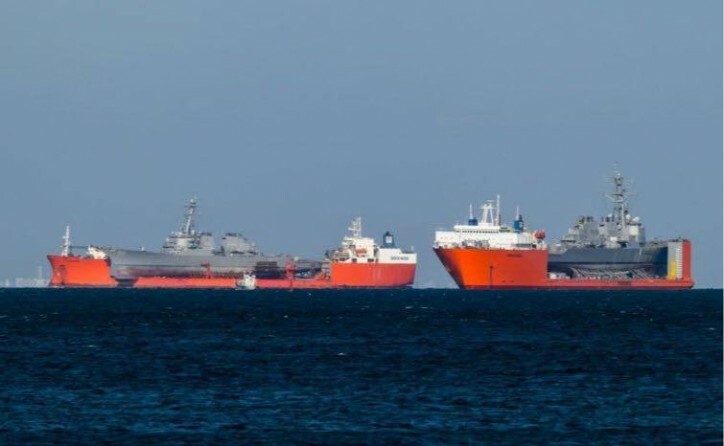 SMIT Salvage will provide the U.S. Navy with marine salvage, salvage-related towing, ocean engineering and towage services in the event of an emergency or incident in two of the three geographic zones in the world as defined by the U.S. Navy. SMIT Salvage held a contract for one zone covering the area between the Suez Canal and the dateline - the imaginary line down the Pacific Ocean on which the calendar day begins and ends - for a number of periods totaling more than 30 years, which it was able to renew. In addition, the contract for a second zone between the dateline and the U.S. West Coast was successfully acquired. With the award of the third and final contract to its U.S. partner Donjon Marine, the companies are able to provide worldwide marine salvage support to the U.S. Navy. SMIT Salvage and Donjon Marine established the joint venture Donjon-SMIT to provide salvage services to vessels trading in U.S. waters under the Oil Pollution Act of 1990 (OPA-90) and related U.S. state regulations.